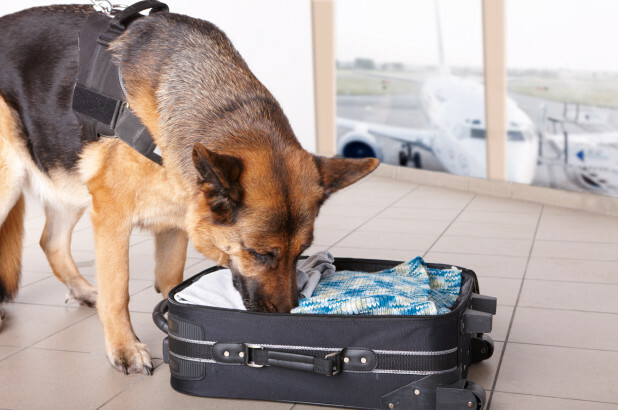 Police drug detection dogs (‘drug dogs’) are now an ordinary sight at airports, train stations, music festivals and in other public areas. A positive indication by a drug dog usually results in the police searching the person’s pockets or bags under a ‘reasonable suspicion’ that the person is in the possession of illicit substances. Police may even strip search the person based on the indication. However the number of false positives is too high and the right to go about life unabated by arbitrary state interference into your privacy is waning. Despite the common use of drug dogs, statistics show that they are ineffective in detecting the presence of illicit substances. Studies have demonstrated that sniffer dogs falsely indicate the presence of drugs 80% of the time on public transport. This means that every year thousands of people are subjected to police searches despite no drugs being found. This is a clear misallocation of police resources which could be better used to tackle bigger threats and more serious crime. Having a drug dog approach you and then being searched by a police officer can be a humiliating and traumatic experience. Given the ineffectiveness of the program there is no reasonable justification for subjecting ordinary people to humiliation and an invasion of personal privacy. This is particularly the case with strip searches which requires the person to be taken to a private area, and stripped of their clothing. An example of this was when our client GL was stopped by a drug dog which resulted in the police taking him to a “private” fenced off tent where they commenced a full strip search. However, there was in fact a gap in the tent, and GL was exposed to the view of people outside the tent. This experience was embarrassing and traumatic for our client and provides a clear example of why the use of drug dogs is an unnecessary and invasive practice that often results in no drugs being found. It has been reported that the inaccuracy of drug dogs may be a result of dogs taking signals from their handlers and the body language of those around them. This is concerning because it means that marginalised groups can be targeted, discriminated against and publicly humiliated. Police drug dog programs operate in selected areas which provide police with the potential to target specific groups. For example, drug dogs are commonly used at Redfern Station which is an area filled with many young people and Aboriginal people. The use of drug dogs need to be overhauled so that these groups are not overly targeted by police. A further consequence of drug dog programs is that drug users may consume all the drugs in their possession when they see a drug dog in sight. There have been instances of drug overdoses occurring in such situations. It is evident from this that drug dogs do not deter people from consuming nor possessing drugs, rather it only increases the risk of unsafe consumption. To tackle the issue of drug usage it is more effective to allocate resources into rehabilitative programs. With few (if any) reasons supporting the use of drug dogs, and many supporting their ineffectiveness, there is a strong need to review the use of drug dogs and ultimately the program should be overhauled.